This is a fantastic film. One of the most surprising films of the year so far. I have to admit, that when I went in to the theatre I had a completely different idea of what to expect. The theatre was packed with mostly 20-something girls and guys. Everyone seemed to be quite familiar with the background of the characters: based on a comic book series. All I'd heard or read, was that it would most likely be a cross between Crouching Tiger Hidden Dragon, and Twilight. It's probably a good thing I can't recall where I'd heard that, because that was so incredibly far off the mark. Scott Pilgrim vs The World was almost as much fun as the time I walked through a mall in Tokyo and someone asked if I'd like to try out the new virtual war game they were testing. But I digress, and there's really no point in comparing because we all know there's nothing quite like the first time. I was particularly impressed with the special effects and the fight scenes. They did a great job of hiding the fact they were on wires. 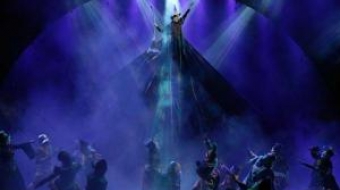 The fluidity was awesome, the choreography was awesome, the execution was awesome. The acting was awesome as well. Even though I'm not a huge fan of teen love stories, I found Michael Cera (Scott Pilgrim) completely captivating. The one who really stole the show however, was Kieran Culkin (Pilgrims best friend Wallace), remember the little kid from Father of the Bride? That's him, only he's all grown up now and an incredible actor to boot. If I had to give the film one criticism though, and I hate to say it, I'd have to say it was a tad long and even a little jumbled towards the end. If Ramona Flowers (Pilgrim's new girlfriend, played by Mary Elizabeth Winstead) had perhaps five evil X-es instead of seven, it would have been just right. 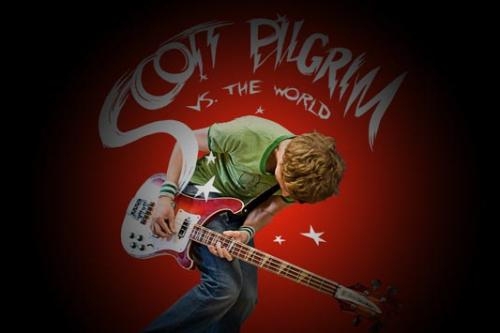 Scott Pilgrim is playing at several theatres including Park and Tilford. Check your local listings for times.